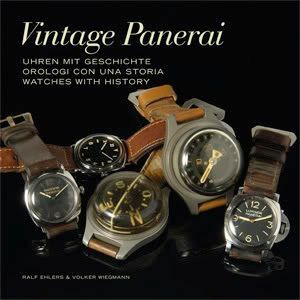 Yesterday, I received the book ‘Vintage Panerai’, written by Ralf Ehlers and Volker Wiegmann. Vintage Panerai describes the history of some historic Panerais, including information on their original German and Italian owners. The book contains a lot of detailed information on the swimmers equipment, assignments and background of the owners. Including lots of pictures. Ralf Ehlers and Volger Wiegmann did a pretty good job on this original concept! If you are into Panerai watches and interested in more than ‘just’ the watches… you probably are going to like this! You can order your copy via http://www.vintage-panerai.de/. It is a small sized book (21x21cm), written in three languages and over 220 pages with over 200 photographs and illustrations.